It was a mixed week for the Sussex contingent in the Big Bash League in Australia. England international Chris Jordan’s Sydney Thunder lost at home to the Melbourne Renegades last Tuesday, but were able to bounce back with a close victory away to bottom-of-the-table side Perth Scorchers. Against Renegades, Thunder won the toss and elected to field, feeling confident they could chase down the total the Renegades would set at the Spotless Stadium. However, captain Aaron Finch top-scored with 52 from 38 balls, helping the Victoria side to 152-9 from their 20 overs. Jordan took 1-35 off his four over spell. The New South Wales side had plenty of wickets to spare, but ended up 12 runs short, despite Jason Sangha’s unbeaten 54 off 49 balls and Callum Ferguson’s 52 off 36 balls. Ferguson was the start of the show for the Thunder in their second game of the week as they beat the Scorchers by six wickets at the Optus Stadium. The 34-year-old scored 113 not out off 53 balls, steering the visitors to victory with four balls to spare, after being set a target of 181-4, as Shaun Marsh scored an unbeaten 96 off 55 balls. Jordan took 0-35. Those results leaves the Thunder in fifth place, outside of the play-offs. Jofra Archer’s Hobart Hurricanes and Rashid Khan and Jason Gillespie’s Adelaide Strikers suffered defeats on Wednesday. The Hurricanes lost to the Sydney Sixers by nine wickets at the Sydney Cricket Ground as a partnership of 166 from wicketkeeper Josh Phillipe (86*) and James Vince (74*) helped steer the hosts over the line. Archer took 0-34. This was after the visitors set a target of 172 as Matthew Wade top scored with 64 off 51 balls. The Hurricanes still top the table on 16 points, four points behind the Sixers and the Melbourne Stars, but have a game in hand. The Strikers lost by 44 runs against the Stars as they were bowled out for 123 at the Ted Summerton Reserve. Marcus Stoinis took 3-20, with England’s Liam Plunkett, and Dwayne Bravo also took three wickets. The hosts were put into bat and set the Strikers a total of 167-2, with Ben Dunk top-scoring with 72 off 53 balls. Khan took 1-32 in his four over spell. 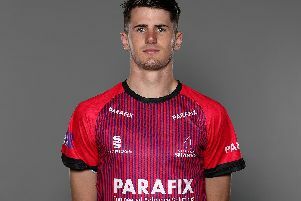 In the Bangladesh Premier League, Sussex batsman Laurie Evans impressed last Monday with an unbeaten 104 to help the Rajshahi Kings to a 38-run victory against the Comilla Victorians. Evans also scored 74 in Wednesday’s six-wicket defeat against the Chittagong Vikings.